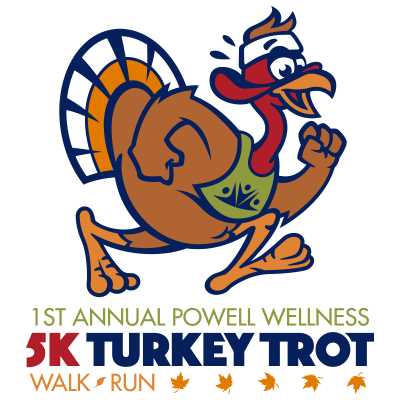 Thanks for your support of our first Turkey Trot on November 22, 2018! $1300 in proceeds benefit Manna Ministry! Mark your calendar for November 28, 2019! Huffin & Puffin For Turkey and Stuffin! Race time: 8:00 am start time. Runners to line up in front with walkers/strollers behind. Early bird registration (ends November 18): $20 per participant. T-shirt is guaranteed if registered by 11/12. Extra shirts will be ordered and available on a first come, first served basis after November 18. Guest Waiver: Can be filled out ahead of time here. Proceeds will support Manna Ministry and its mission of providing nourishing meals to community members in need. Check this out: 4 trainer tips for a terrific trot! Registration fees are non-transferable & non-refundable. An entry can only be used for the person registered for the entry. Entries cannot be deferred to the following year or a future event. If the event is cancelled due to weather, credits and gift cards for the value of registration will be issued. Strollers: For the safety of this event we ask that all strollers line up at the back of the starting runners/walkers. Timing and Results: The timing for this event will be shown at the finish line. Individual participants’ race times provided by Bishops Events. Kids Corner: Child care in PWC’s Kids Corner will be available from 7:00 am –11:00 am. Free for those children who are part of a PWC or CSF membership plan. There will be a $5 charge for non-members to use for a 2 hour limited time. Hydration: There will be a water station at the dead end of Stoneybrook. Refreshments: Complimentary bagels, fruit and water will be available after the race. Shirts: Adult and Youth size S-2XL will be handed out when race packets are picked up.